All the parts manufactured by Mygale are subject to rigorous control. Each operator is trained in self-checking and engages in every step of the production process. A quality control department, consisiting of a metrologist and a technician, checks the conformity of our raw materials and finished products every day, before they are mounted on our cars or delivered to our customers. 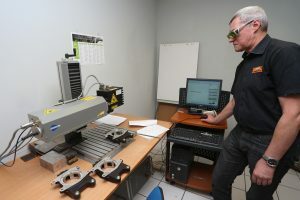 A three-dimensional measuring machine equipped with the Metrolog software. 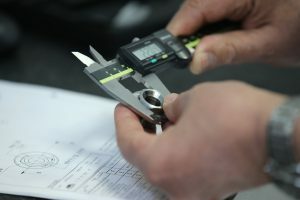 Three-dimensional measuring tools : measuring column, profile projector, hardness tester, micrometers, callipers, angle protractors. The traceability of the prduct parts is ensured by systematic marking using a laser engraving machine. Logo Mygale, reference of the part and date of manufacture which also make possible to avoid counterfeiting.